Tampa Truck Accident Attorneys | Lawyers serving Tampa, and the surrounding Tampa Bay Florida area. 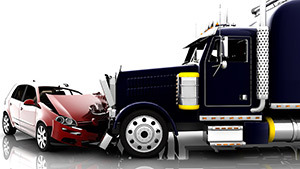 Our truck accident attorneys handle personal injury cases arising from car accidents, auto accidents, truck accidents, pedestrian accidents & motorcycle accidents arising from the negligence of another driver. Fernandez & Hernandez have a combined 40 years of experience successfully representing people who have been injured due to someone else’s negligence. We have won millions of dollars for our past clients and we will do whatever we can to help you recover the compensation you deserve. If you have been injured in a truck accident and someone else was to blame, call us today for a free consultation and case evaluation. In fact, if we handle your case, you pay absolutely nothing unless we win. Trucking accidents happen every day in Florida, and no one can predict when an accident will result in a serious injury or wrongful death that may require the help of a knowledgeable and experienced personal injury attorney. Fernandez & Hernandez can help you no matter where you are. We routinely make home and hospital visits to those injured. We truly go the extra mile for our clients and we believe our experience, past results, and personal attention make us different than most other Florida attorneys. Find out how we can help you by calling us today. In 2003 alone, over 450,000 large trucks were involved in crashes. Many factors can contribute to these incidents, including poor driving conditions, truck braking problems, and driver fatigue. In a recent survey, for example, almost 20% of truckers admitted to falling asleep at the wheel at least once in the previous three-month period. 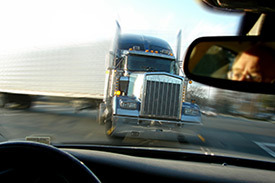 Truck driver fatigue is a troublesome factor in large truck crashes. In 2004, over 5000 people died as a result of truck accidents and collisions, a rise of 4 percent from 2003. 15 percent of these fatalities were the drivers themselves, while 72 percent were automobile occupants. The remaining 13 percent were motorcyclists, bicyclists and pedestrians. Every 16 minutes another person in the United States will be injured or killed in a truck-related accident. At least a third of the injured truck accident victims will suffer either fatal or at least life threatening injuries. Have you suffered an injury or lost a loved one in a fatal accident involving a delivery truck, tractor trailer, bus or contractors’ pick-up truck? If so, you need the experienced and dedicated representation of a Tampa personal injury attorney to help ensure you receive the financial compensation for your injuries or loss that you deserve. It is important to our attorneys that you have the opportunity to receive the money you need to help rebuild your life, even in the wake of a serious truck accident. Let us explain what we can do to assist you when you contact one of our skilled lawyers for a free initial consultation. We help clients throughout all of Florida. Because professional drivers are held to a higher standard of safety than the general public, we also look into the training, hiring, and safety record of the driver and company involved in your accident, or loved one’s wrongful death. If any regulations were violated willfully, we will work to seek the maximum compensation from responsible party, including the truck driver, owner, and trucking company. The Fernandez & Hernandez Firm’s lawyers handle truck accident personal injury cases throughout the entire Tampa, South Tampa & West Tampa area. Areas we service include Town ‘n’ Country, Brandon, Riverview, West Tampa, West Chase, Hyde Park, Culbreath, West Shore, Palma Ceia, Gulfview, 33635, 33615, 33634, 33626, 33625, 33508, 33509, 33510, 33511,33568, 33569, 33578, 33579 & all of Hillsborough County and the state of Florida.